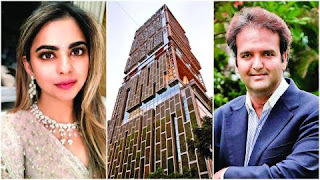 Mukesh Ambani daughter wedding card cost |Isha Ambani and Anand Piramal’s pre-wedding festivities have set unattainable celebration goals. Now, the Ambanis move to the wedding ceremony, which will take place at the family abode, Antilla located at Altamount Road in South Mumbai. Those who couldn’t make it for the events, which were held in Udaipur over the last weekend, are likely to attend the nuptials today evening. 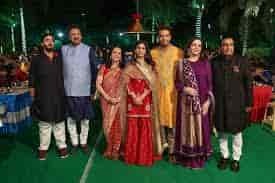 Isha Ambani wedding A number of top industrialists, politicians and B-Towners are on the guest list. The functions will apparently begin at 3 pm and will go on till the wee hours. The shaadi will culminate with the bidaai ritual. The Ambanis ensured that all preparations were being taken care of even as the family participated in the pre-wedding events in Udaipur. After Isha and Anand tie the knot, they will have two receptions.isha ambani wedding card cost. After the shaadi, the first reception will take place at Jio Gardens. The Ambanis and Piramals will be joined by their family members and friends. The second reception will be for their employees and work associates. Isha and Anand will meet guests at this do, which will also be held at the same venue.